Acupuncture is a traditional healing art in which superfine needles are specially placed into specific points on the body. Acupuncture is associated with a very significant release of endorphins (your natural pain-killers) and it affects the autonomic nervous control of body functions such as blood pressure. Specific points used in pain control, deactivate the mid-brain responsible for emotional interpretation of pain. 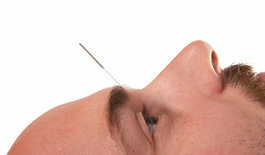 Acupuncture also has local effects to relax tight and painful muscles, and to improve blood flow to accelerate healing. 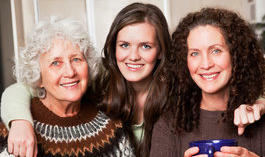 Read our blog that talks about the science of acupuncture…. Extensive clinical research studies have shown acupuncture works to treat chronic low back pain and neck pain, with lasting functional improvement for back pain over one year. Acupuncture is recommended as an adjunct to conventional care for both back and neck pain due to its cost effectiveness to improve outcomes over and above usual care with medications. Effectiveness of Acupuncture for Low Back Pain: A Systematic Review (2008). Yuan, J. et al. SPINE 33-23, pp E887–900 (23 clinical trials and 6359 patients). Randomized Controlled Trials of Acupuncture for Neck Pain: Systematic Review and Meta-Analysis (2009). Fu, L-M et al. J Alter Comp Med, 15- 2, pp. 133–45 (14 clinical trials). Randomised controlled trial of a short course of traditional acupuncture compared with usual care for persistent non-specific low back pain (2006). Thomas, K.J. et al. BMJ, doi:10.1136/bmj.38878.907361.7C. Cost-effectiveness of acupuncture treatment in patients with chronic neck pain (2006). Willich, S.N. et al. Pain 125, pp 107–13. Acupuncture is effective for lessoning both the frequency and intensity of tension headaches and in preventing migraine headaches. It is valuable non-drug tool in patients with chronic tension-type headaches, and can is possibly more effective than preventative drug treatment for migraines, with fewer adverse effects. Acupuncture for tension-type headache: review (2009). Linde, K. et al. Cochrane Data Sys Rev 1 – CD007587 (11 clinical trials and 2317 patients). Acupuncture for migraine prophylaxis: review (2009) Linde, K. et al. Cochrane Data Sys Rev 1 – CD001218 (22 clinical trials, 4419 patients). A large and high quality research project recently showed acupuncture can decrease osteoarthritis knee pain by an average of 40% and improve joint function similarly, over and above usual care with medications1. Drs. Terry Selfe and Anne Taylor of the Center for the Study of Complementary and Alternative Therapies (U of Virginia) reviewed the scientific research published in English journals. They included randomized, controlled experiments studying the effects of acupuncture on knee osteoarthritis. Ten trials representing 1456 participants met the inclusion criteria and were analyzed. 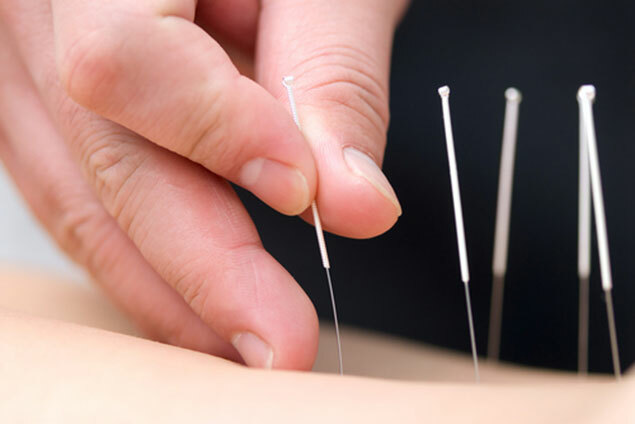 They concluded that these studies provide evidence that acupuncture is an effective treatment for pain and physical dysfunction associated with osteoarthritis of the knee2. Effectiveness of Acupuncture as Adjunctive Therapy in Osteoarthritis of the Knee; RCT (2004). Berman, B.M. et al. Annals of Intern Med. 141-12; pp 901-11. Family and Community Health, 2008, Vol. 31, No. 3, pp. 247-254). 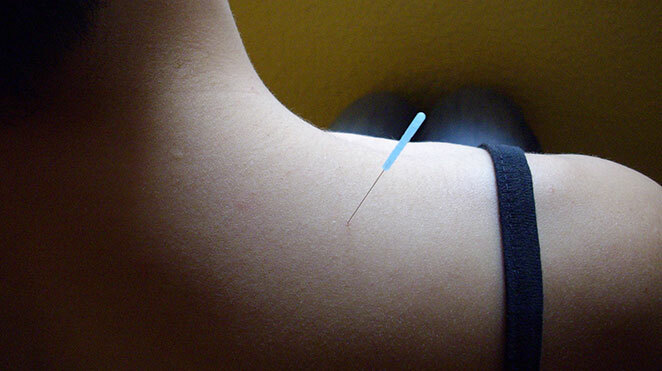 Single-point acupuncture and physiotherapy for the treatment of painful shoulder:a multicentre RCT (2008). Vas, J. et al. 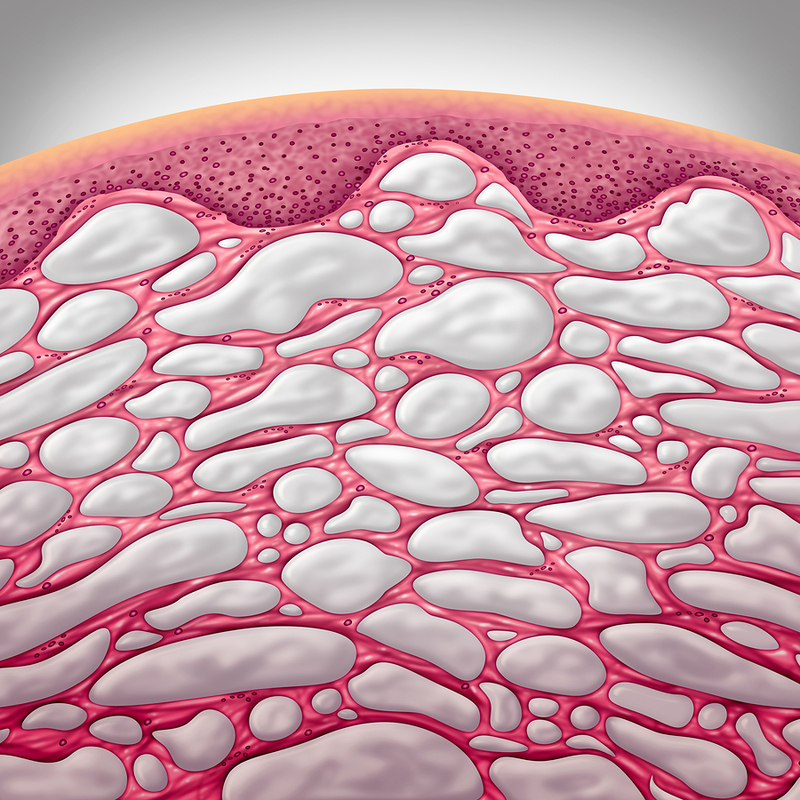 Rheumatology. 47:pp 887–93 12Acupuncture for the alleviation of lateral epicondyle pain: a systematic review (2004). Rheumatology. 43: pp 1085–90. Acupuncture in Patients With Carpal Tunnel Syndrome: RCT (2009). Clin J Pain. 25-4; pp 327-33. 14The efficacy of acupuncture in the treatment of temporomandibular joint myofascial pain: RCT (2007). J Dentistry. 35; pp 259-67. Electroacupuncture in fibromyalgia: results of a controlled trial (1995). Deluze, C. et al. BMJ; 305- 6864; pp1249-52. 6The Value of Acupuncture in Cancer Care (2008). Lu, W. et al. Hematol Oncol Clin N Am 22; 631–48. Acupuncture is indicated for woman with menstrual pain as an alternative to NSAID anti-inflammatory drugs (like IburpofenTM ) or oral contraceptives. Treatments are associated with significant and lasting improvements in both pain and quality of life after receiving acupuncture. Iorno V, et al. (2007). 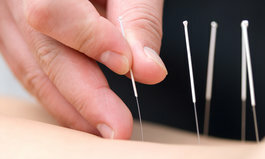 Acupuncture treatment of dysmenorrhea resistant to conventional medical treatment. eCAM 8Witt CM, et al. (2008). Acupuncture in patients with dysmenorrhea: a randomized study on clinical effectiveness and cost-effectiveness in usual care. Am J Obstet Gynecol 198:166.e1-166.e. Our society and culture is in a chronic hyperstress situation – always busy, scheduled, in financial debt, often without the support structures a family or community used to offer. 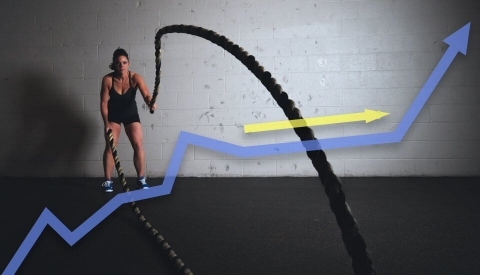 Many are in a constant “fight or flight” mode with arenaline and other stress hormones at elevated levels. Our immune system, digestive organs, kidney and liver metabolism, all represent primary functions that are diminished when the body is under chronic stress. Although acupuncture works in many ways yet unknown to science, there is evidence that it works to balance the body’s stress response through the release of endorphins and its impact on the autonomic nervous system.